Martin began his journey to summit the highest peak on each continent in 2005 and completed this remarkable feat in 2012, spanning more than 14.5 vertical miles. Martin (far right) and his daughter, Meredith, at the summit. Sunrise on Mount Kilimanjaro. 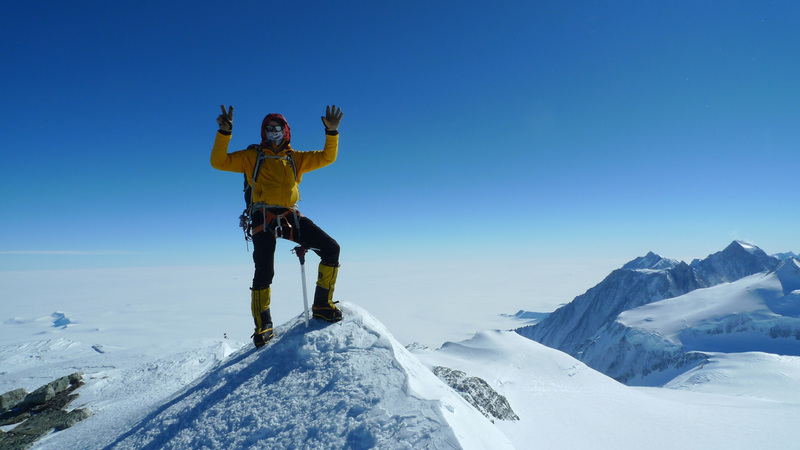 Martin’s good friend and climbing partner Steve Gasser, and Martin at the top of Denali/Mt. McKinley. Steve passed away shortly after this photo was taken while competing in a bike race in St. George, UT. Martin took a picture of Steve at the summit of Mt. Denali on each of his other summit climbs to remember him and their goal of climbing all 7 together. Taking a breather at the top of the world. *Since some consider Mount Kosciuszko, not Carstensz Pyramid, part of the Seven Summits, Martin also summited Mt. Kosciuszko on November 10, 2013. Realizing that he has only one more summit to go!